Select them in the Options section of the Buy Now process. Why not sign your unique artwork? The signature will be placed on the bottom right of your artwork in either black or white, in contrast to the chosen colors of your artwork. We can also add personal messages handwritten by you. 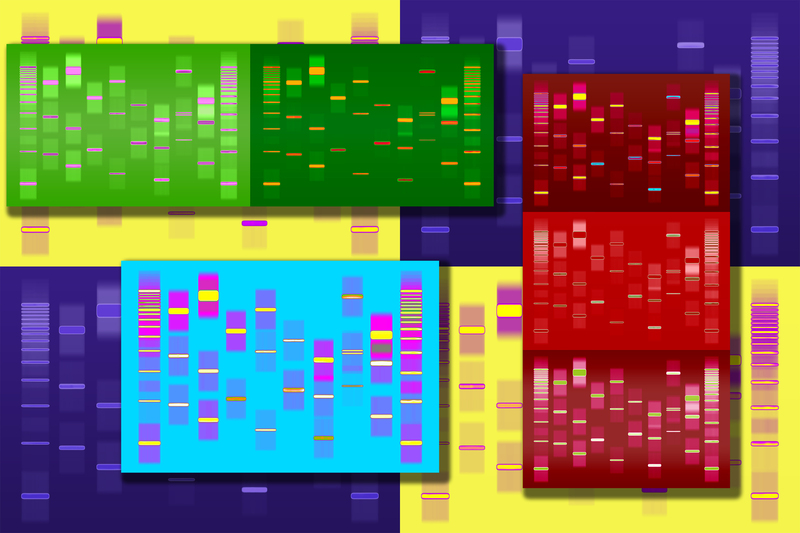 Most human traits arise as the result of many interacting genes and proteins and we can, therefore, display multiple genes. A trait document explaining the gene(s) in your picture will be sent with your certificate of authenticity. Genes working together have additive effects. 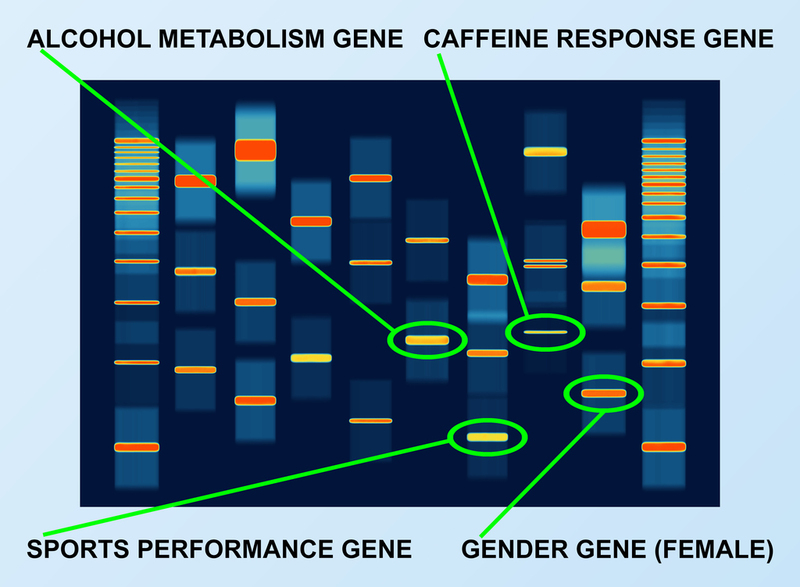 For example, if an individual has a gene variant indicating high-tolerance, they may be prone to a higher tolerance than average, whereas one high-tolerance and one low-tolerance gene variant may mean they are prone to average tolerance, and two low-tolerance gene variants means they may be prone to a lower tolerance than average. Personality traits can only be provided when we process the saliva sample to produce the DNA image so they are not available with the DNA Vision TAGCy range. On every additional artwork purchased at the same time as your first piece. The additional discount is deducted automatically during the checkout process. 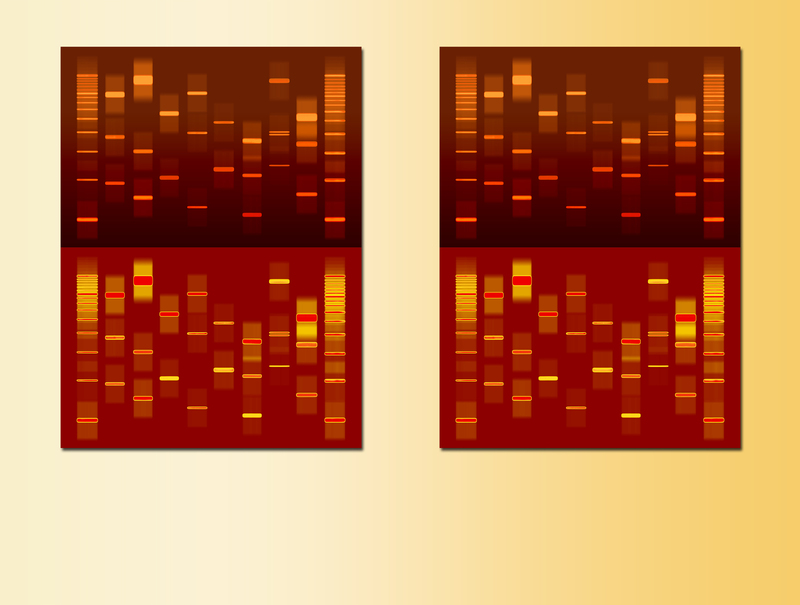 When you buy a second exact copy of your DNA artwork at the same time as the first. Display the second copy in another property, at the office or gift it to a loved one. This transaction does not qualify for the 'additional artwork' purchase discount described above. Delivery is FREE for customers within the contiguous 48 States. 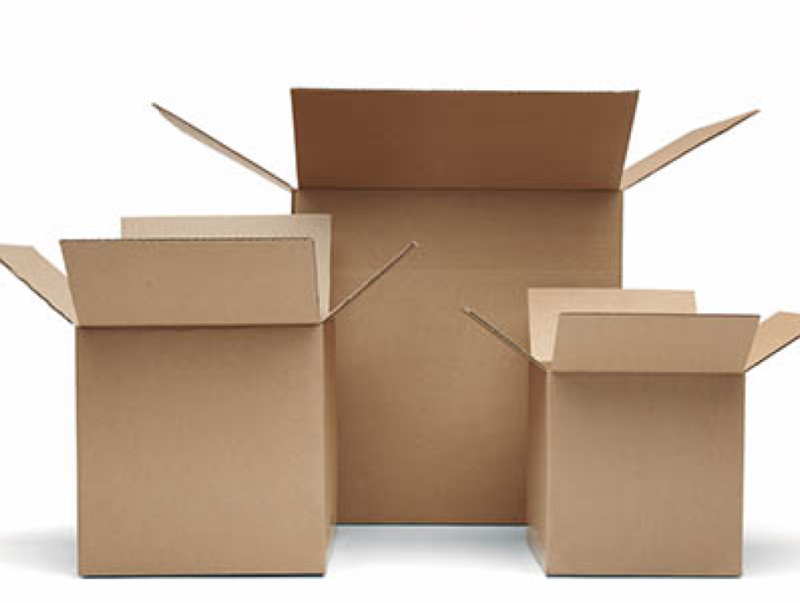 You will receive the carefully wrapped and packaged artwork at your specified address normally within eight weeks, often sooner. All other destinations will be quoted at the time of ordering and any additional shipping charges are usually quite modest but it does depend on the size of the piece.